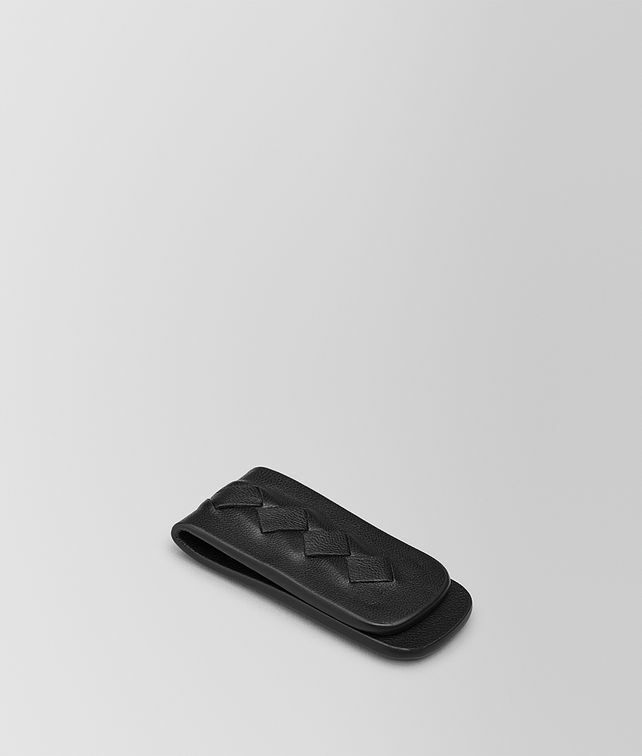 An elegant accessory for the modern gentleman, this money clip is lined in Nappa and accented with a subtle Intrecciato detail. Practical magnetic closure. Height: 6.7 cm | 2.7""
Width: 3.1 cm | 1.2"